Many of you know from following my blog recently, that I’ve been doing some major updates on my house. I just finished a kitchen remodel this last fall and am currently in the process of remodeling the powder room. I’ve also completely redesigned my bedroom and have actually just began applying the finishing touches on my living room (after purchasing some new couches and rugs). So I was thrilled when Christy Linens, a beautiful, stylish, and sophisticated English home decor company, reached out to me to review some of their fabulous products! If you haven’t visited ChristyLinens.com yet, you absolutely should! You will find such a fabulous selection of home decor, such as bed linens: throw pillows, duvets, throws, sheets, and more. You can also find a lovely selection of towels, mats, and rugs for your bathroom too! You can even get luxurious bath robes and candles from Christy Linens as well! I already knew what color scheme I had in mind when checking out the throw pillows for my living room, so I went right to the gorgeous ombre white and gray Sumatra Throw Pillow in Charcoal. Gray is all the rage for 2015, I’m seeing it everywhere. I have to admit, I’ve been following this trend too, by just putting in new gray luxury vinyl flooring in my main level. I also plan on doing a pretty gray accent wall in my office behind some white lucite open book shelves. 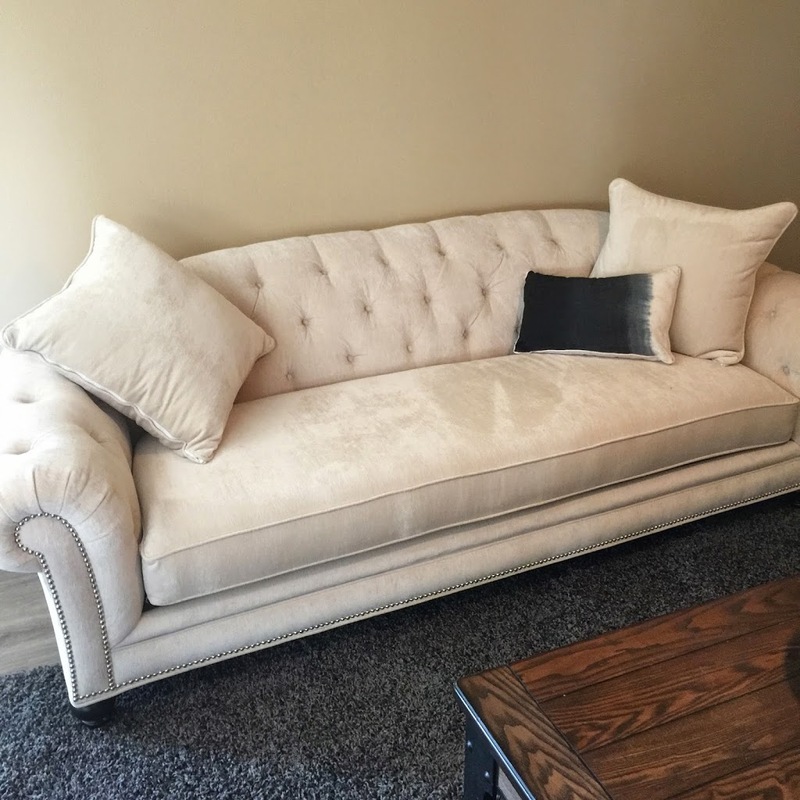 For my living room, I already had the white couches and a big gray rug for the center of the room. I’m still in the process of updating my old wood coffee table and getting some pretty art that would tie in navy blue, white and gray, so I knew I wanted to stick with color theme when choosing pretty accent throw pillows for my couch. 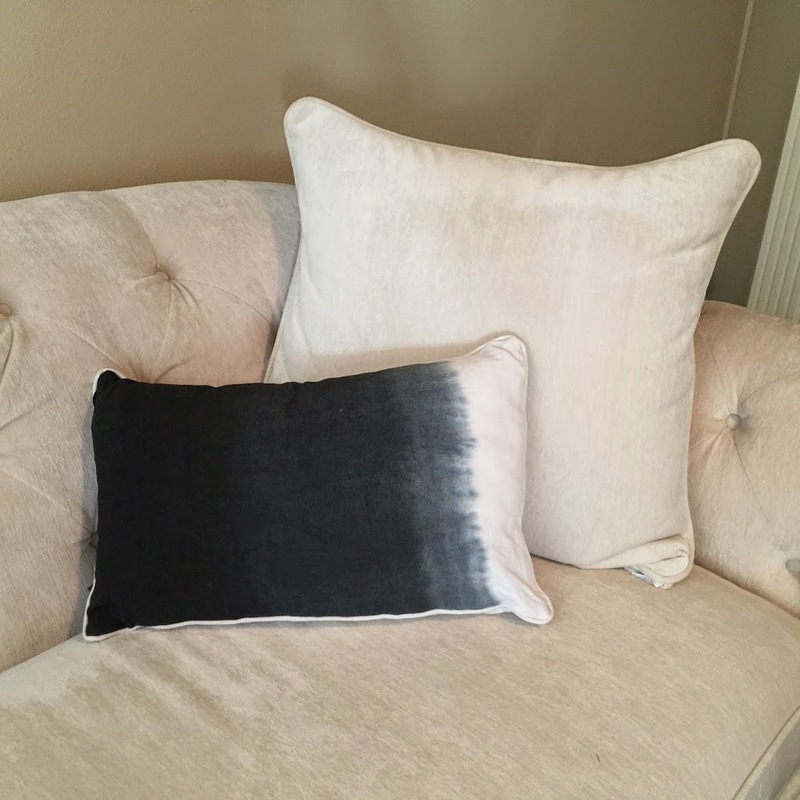 This lovely ombre throw pillow from Christy Linens was perfect! I knew that would be a great start to bringing in the colors I wanted to play with in my living room. The Sumatra throw pillow is a pretty rectangular pillow that looks gorgeous layered with your bed linens or as a pretty stand-out throw pillow for your couch, like I did.The material feels luxurious and the pretty eye-catching ombre effect of the pillow makes it a great accent pillow to direct the eyes, especially in a sea of white like with this big white couch. To provide a pretty accent in the same color scheme, I also chose a super luxurious candle from Christy Linens. The candle is amazing! 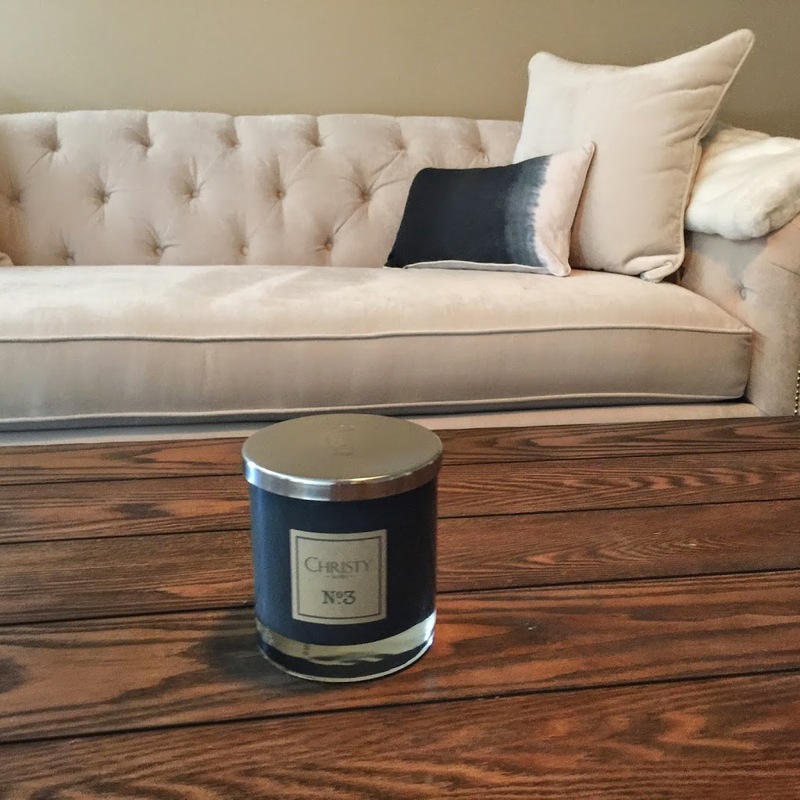 Not only does the color go fabulous with my living room decor, but the scent is to die for! 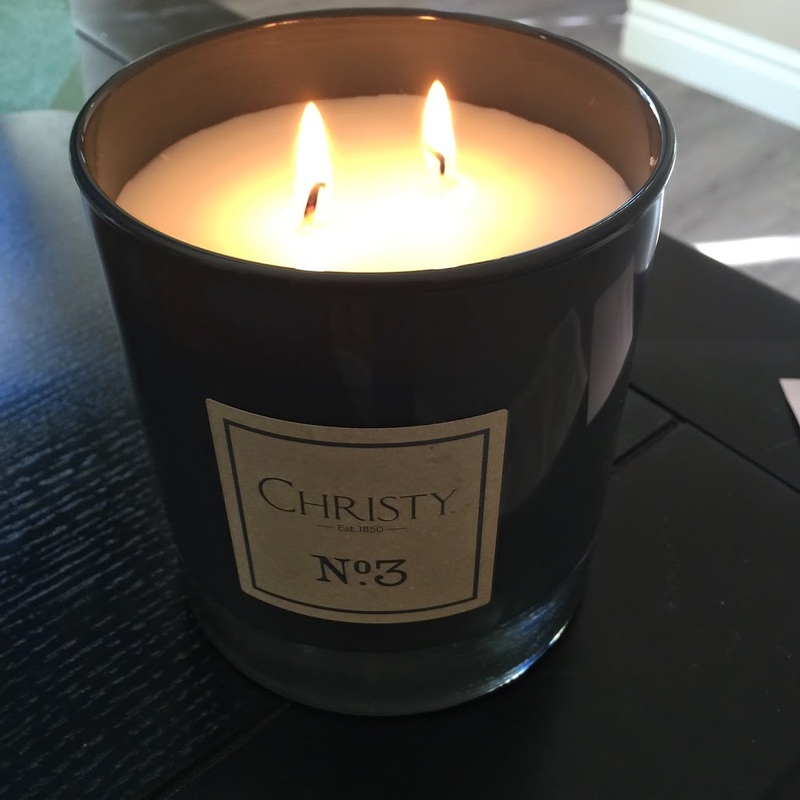 Christy Linens has three lovely scents to choose from. 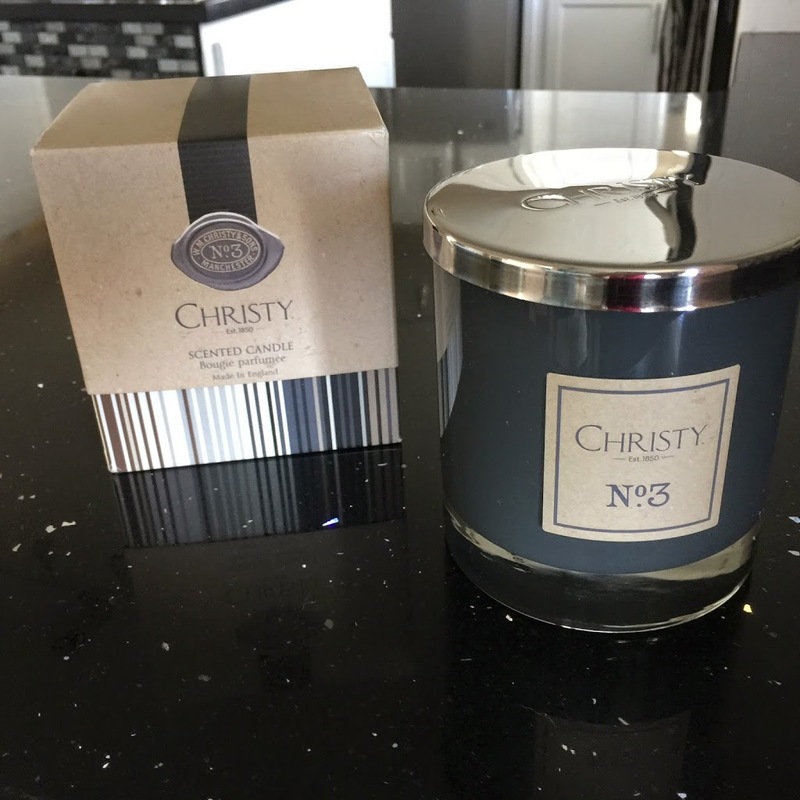 I went with the Christy Candle No 3., which is a sensual and lovely blend of rose pepper, fresh citrus, and a note of bergamot, with base notes of vanilla and precious woods. The candle brings such a lovely, rich scent to the whole room. You notice it as soon as you walk in. I love the rich precious wood and vanilla notes you pick up on right away, but the lovely citrus, bergamot, and rose scents, really transcend you to a beautiful patch of flowers nestled in the woods. It is the perfect fall/winter scent as it brings a sense of warmth when you breathe it in. 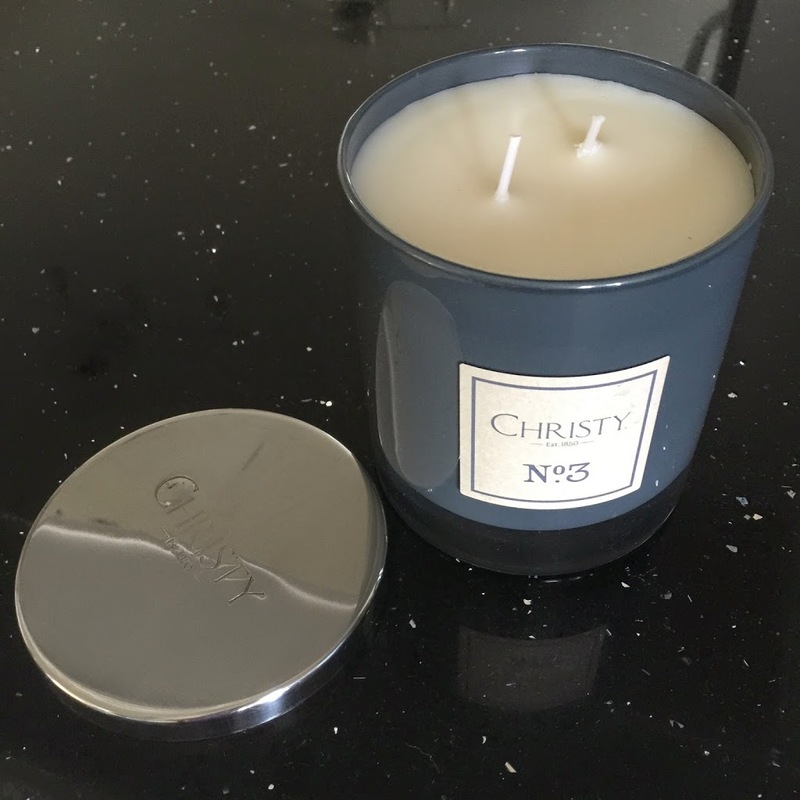 Christy uses only the best ingredients and high quality wax for their candles, so you can expect your candle to not only look fabulous as part of your decor, but to burn long and clean, truly giving you your moneys worth, every time you light it! All Christy products are proudly designed and made in England, since 1850! As you can see here. the candle and throw pillow really fit in my living room perfectly and bring some beautiful color to my white couches. I love the look of this throw pillow and can’t wait it purchase a few more from Christy Linens to complete my living room decor! If you would like to learn more about Christy Linens, then be sure to visit them today at ChristyLinens.com. * I was given these products for the purpose of review, however, all thoughts and opinions expressed in this post are solely my own. I only share reviews with my readers, I feel will be beneficial or informative in some way. Oh Looks like is smells awesome! I can’t find the twitter post to the pillow giveaway.. got a link directly to it? Hi helobuff, I’ve just posted the link to the tweet above. Good Luck! http://www.christylinens.com really have a lot of great products. Thank you! I like your comfy looking couch with the throw pillow giving it some added color! A nice scented candle to warm the mood. I love it. Candle sounds amazing! Thanks for the post! Hm, I didn’t realize grey was so big this year. I guess my friend’s bridesmaid dresses are really on point! Want to win the candle! Love the gorgeous pillow and lovely candle! I love that pillow never seen one quite like it. I also tweeted and followed! That double wick candle is gorgeous! I love your new pillow and candle. I am sure your living room will come out fabulous! This candle is so gorgeous! It could stand anywhere and still fit in. Love this candle and Pillow! So glad to learn about these. Thanks. They look great with your sofa’s. Such an amazing pillow!and i love candles! Citrus & Vanilla scented candles are my favorite! And how gorgeous is that pillow?! Retweeted to win (@kimpcole) ~ fingers crossed! I love the candle and the pillow! Thanks! The candle blends with the color of the furniture.